Sometimes I get a craving for some yummy Mexican food, last night was one of those nights. When that happens there are two places I head to in Seoul. Firstly there is Dos Tacos, it's a very casual, cheap and cheerful. This is the place to come for a quick but awesome burrito. The second place is On The Border, a restaurant with four locations in Seoul. It's a better place if your looking for a wider choice and a real sit-down dinner. There's so many reasons I love this place. Firstly when you arrive they give you free nacho chips and salsa. These are re-fillable and a nice way to stave off the hunger pangs whilst you look through the extensive menu. Free chips and salsa - one of the many reasons On The Border rocks. Next up is their drinks. They offer a selection of flavoured margaritas and you can choose from a regular size or the awesome 'schooner' size. It's 6,900 won for the regular and 7,900 won for the later so as you can imagine you never see anyone drinking the regular size. If margaritas aren't your thing then...you're crazy! No, I'm kidding. If they really aren't your thing then you can choose from plenty of other drinks including various flavors of Mojitos, non-alcoholic drinks and beer. Now usually I would start with showing you the food, since that's the reason you go to a restaurant after all. In this case though I wanted to save the best till last. This isn't gourmet cuisine but if it's Mexican your after then this hits the spot. The quality is good and the portion sizes are pretty big but they should be because the price isn't cheap. Most dishes come in around 18,000 - 20,000 won and 'From the Grill' items like Fajitas and steak go up to 28,900 won. The chicken burrito is a cheaper option at 14,900 won. Everything I've eaten here has been tasty and the only reason we ever leave any food is because we're too full to finish it! As I mentioned there are four locations of On The Border. These are at Apgujeong, Coex City Air Terminal, Shinchon and Times Square Mall. The service at the restaurants is mixed. I think it depends entirely on the server you get. In my experience the Apgujeong branch has much better service and I prefer the atmosphere at this restaurant too. In the summer time you can sit outside in the open air and it's smaller in size than the other locations. Coex Branch of On The Border. If you want to make yourself even hungrier then I probably just have, take a look at their menu online. To view maps of On The Border locations in English and Korean visit the On The Border website and click the left hand tab saying 'Store'. 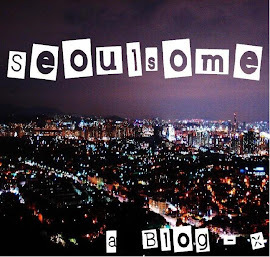 Please follow Seoulsome or find Seoulsome on Facebook. That looks tasty :) I have one of them next to me in Sinchon, i guess i will try it out one day! Generally the "western" restaurants are pretty expensive here.. in the "Outback" there is also nearly nothing below 20k Won. So if you go there with somebody and additionally order something to drink you are easily getting over 60k Won per visit. Way too much..
that look so yummy !